Register ASAP for what suits you best & let us SHOW you what you are capable of! Contact paula.performancefitness@gmail.com to register for programs. 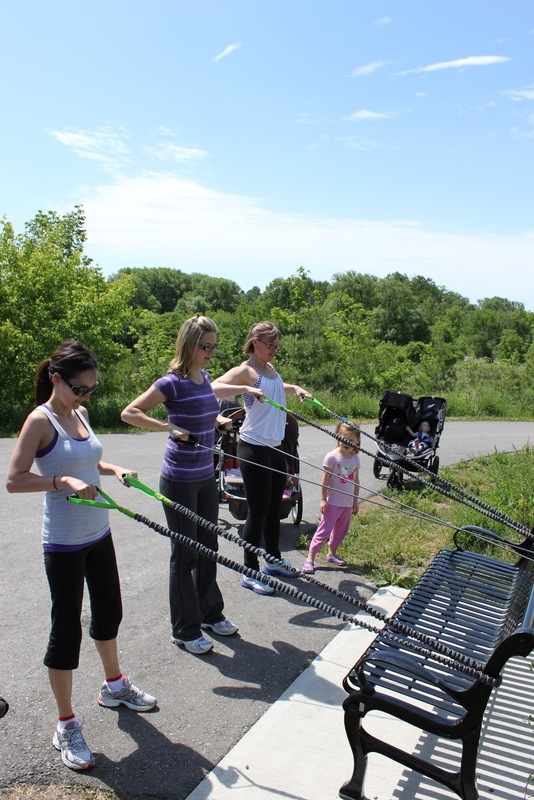 Performance Fitness is bringing back Stroller Fit by popular demand! Warm-up as group in the gorgeous fresh air! Warm-up with brisk walking with your stroller then do cardio intervals with speed walking and slower paced walking to burn major calories. Combine the cardio intervals with strength training and core work to tone and tighten your whole body! You will get off that baby weights and be in even better shape than before! All while meeting other new mama's and talking about "mommy issues". Only $203.40incl tax for all 12 sessions! Probably the most "non-traditional" tools you will see in our studio is our baby toys! We have exersaucers, bouncy chairs, playpens and LOTS of toys for little ones to play with while mama's get their workout in. We pride ourselves on have the most effective, current and efficient pieces of equipment in order to get our clients the results they are looking for and to be the BEST Personal Training Studio in all of York Region. Come see why we have so many happy, fit, strong and dedicated clients! Majority of the time I spend "tightening and toning" clients muscles but ALL of my clients know and will repeatedly hear me talk about the importance of stretching and how it will effect your results. If all you do is tighten tighten tighten your body will eventually fight you back and stop you in your tracks. The main goal in fitness should 1st and foremost be to make everyday life better; be able to play with your kids/grandkids without tiring, pick-up and move things around the house without straining your back, play a pick-up tennis match with minimal issues, etc. Without flexibility and if you just focus on strength you will not be able to do those things. Many times you will also create new issues and imbalances in your body. More and more these days i see the importance of starting from the foundation and working up from there. I work with many physio therapy patients at LifeSpring Physio Therapy where my studio is located and I have had the pleasure of being able to work along side their physio therapist to speed up recovery and train patients bodies so that they no longer have the imbalance or weakness and are stronger going forward in life to prevent anymore injury/issues. Inflexibility is the cause of so many issues. Make sure you stretch out your hips, glutes (bum), upper back and open up your chest. Many times all people do is the front and back of their legs, it's not enough. If you can fit yoga into your schedule even once a week DO IT! Yoga will give you a guided stretch like no other and your body will thank you for it. So make sure you stretch, even a little bit everyday. Make sure you are warm before you stretch, whether it means you did 30 step ups on your stairs, a walk/jog/bike, or you are in the shower...make sure your body is physically warm before you try and stretch or you can pull your muscles. Try 15-20mins every day for a week and if you don't feel better, message me!